You may notice that most of my advanced tutorials are about WooCommerce now. Let me show you how I came to this. First of all I love custom coding very much. And sometimes I’d rather spend my day to create a cool script than use a ready plugin for WordPress. Step 1. Register custom post types for products and for orders (luckily Dashicons has cart icon), add some meta boxes there. Step 2. Create members area page where users can change their personal information and delivery options. Step 3. Cart and Checkout Pages. Step 4. Integration with payment gateways. But one day the two things happened at once that changed my mind – the client came to me with the confidence to use WooCommerce (+Memberships+Subscriptions but it is another story) on his website and the second thing – Matt announced on his blog that WooThemes (WooCommerce ) joined Automattic (WordPress company). 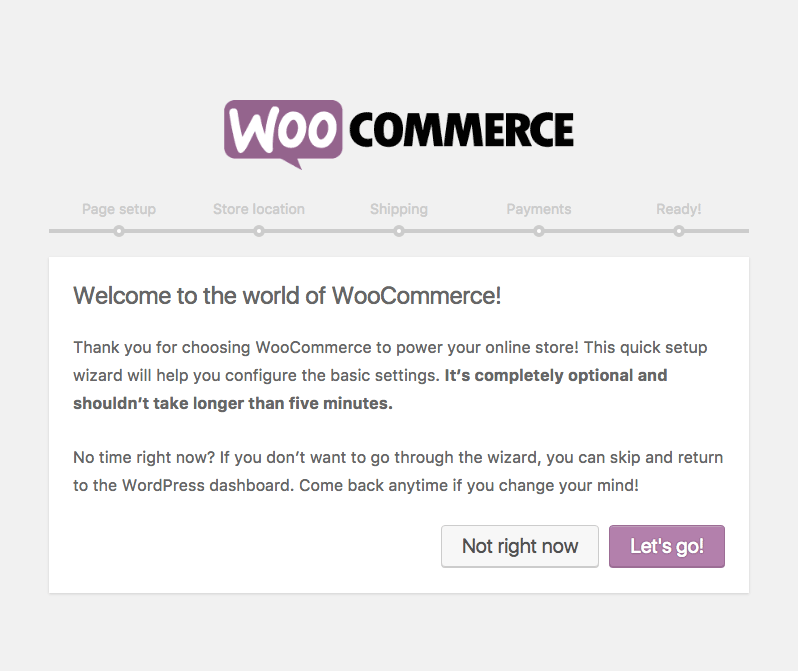 Not sure what it means for you but for me it means that WooCommerce is part of WordPress now. 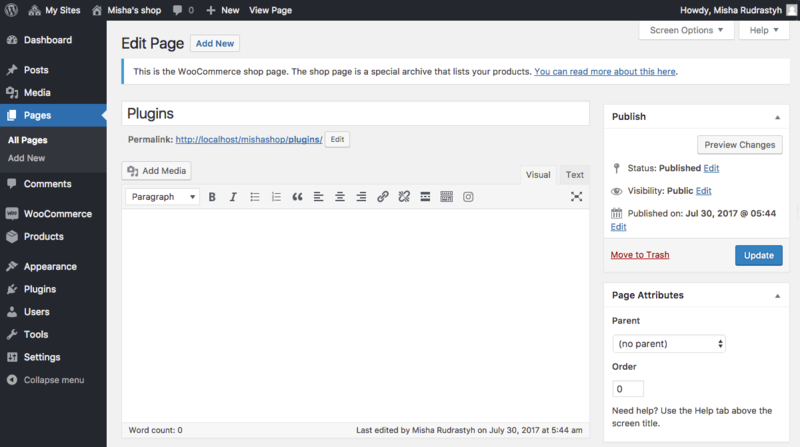 At the moment of writing this post WordPress is perfect for me but WooCommerce is not yet, but I know it is gonna change soon. Now let’s come back to Earth and try to do something with it. Do not be afraid to make mistakes, you can change anything later in WooCommerce > Settings. 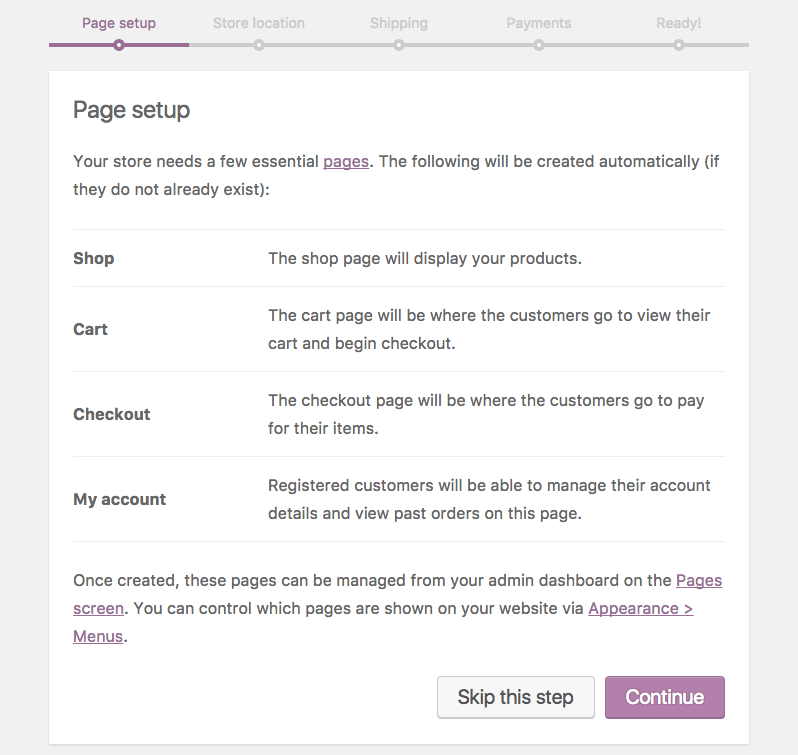 Every page can be reassigned in WooCommerce Settings. Shop page – General > Display, Cart and Checkout pages – under the Checkout Settings tab, My Account – Account tab. 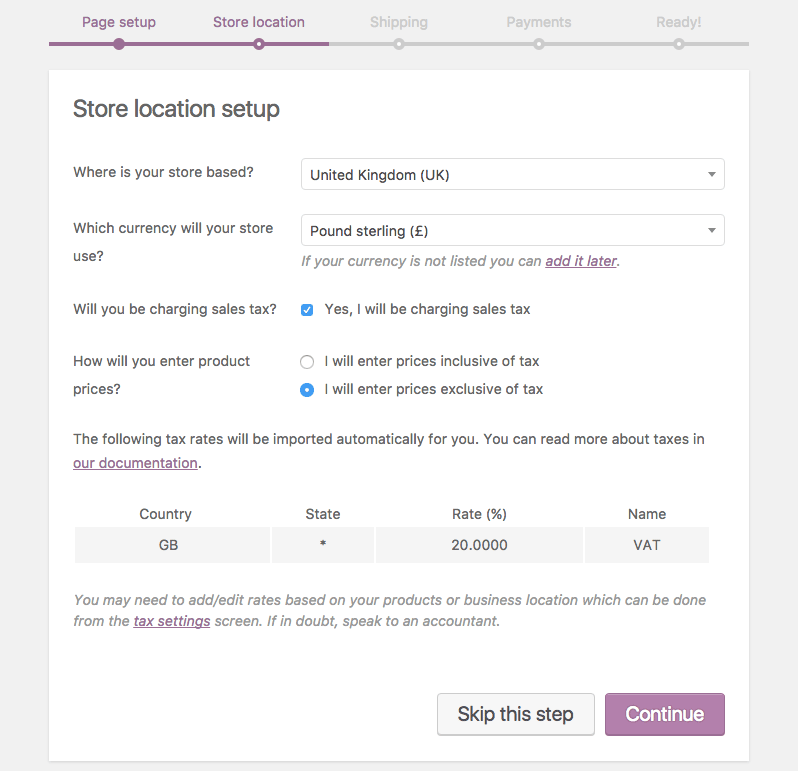 If you want to reconfigure it later, go to WooCommerce > Settings, General and Tax tabs. 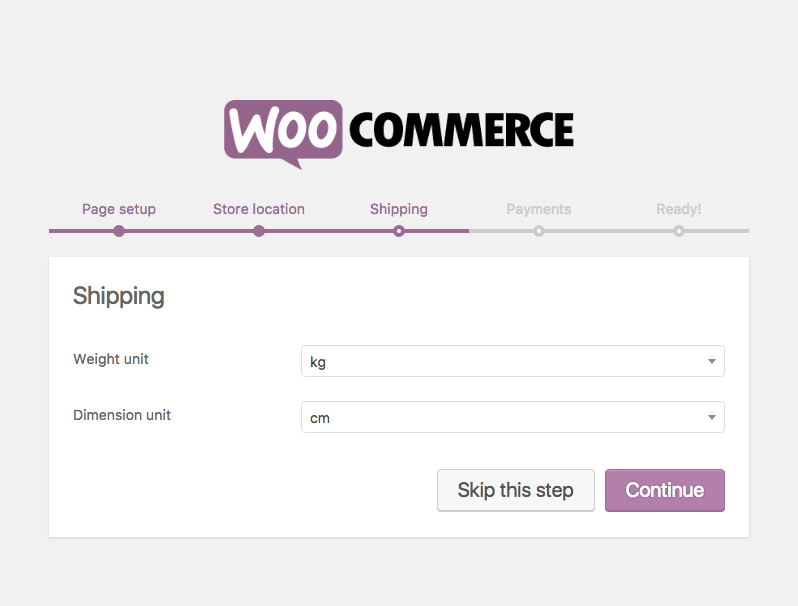 You can change it later in WooCommerce > Settings > Products. 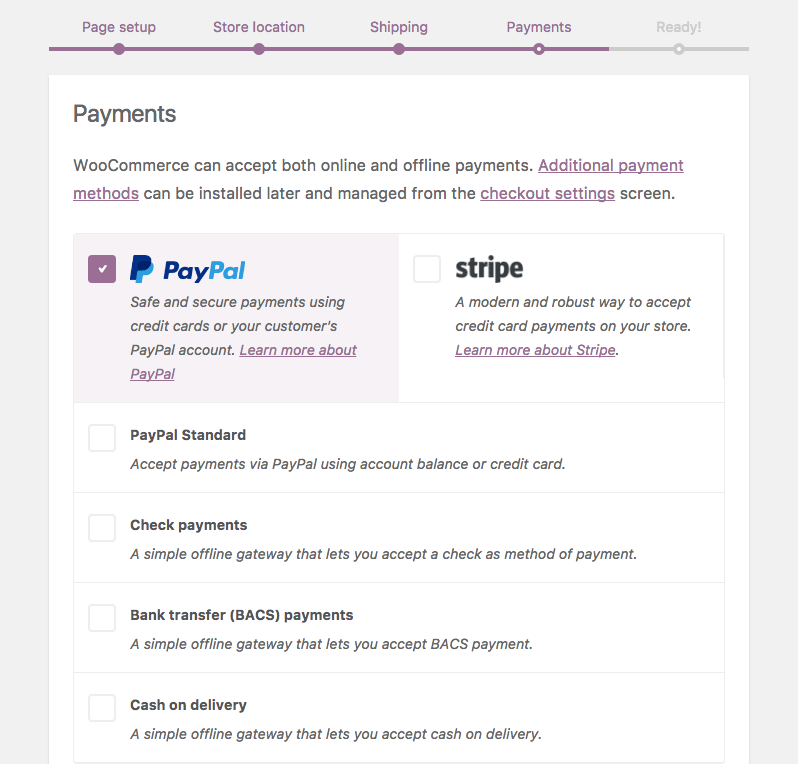 If you're not sure about payment methods, you can configure this later in WooCommerce > Settings > Checkout. 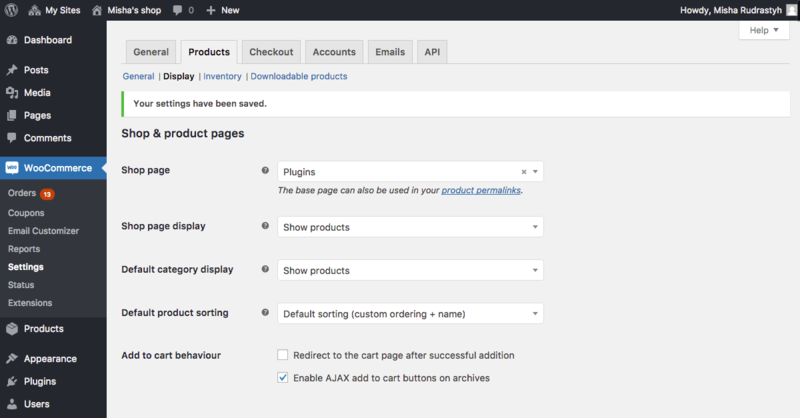 You can click the button to create a new product or use the link below to return to WordPress admin dashboard. After that you can try to add some products and see if the checkout page is working. If you do not want to spend a lot of time configuring redirects later, permalinks is the first thing you have to customize in your WooCommerce shop. Just after you’ve installed it. If you want a custom shop base with categories, use /your_shop_base/%product_cat%/. 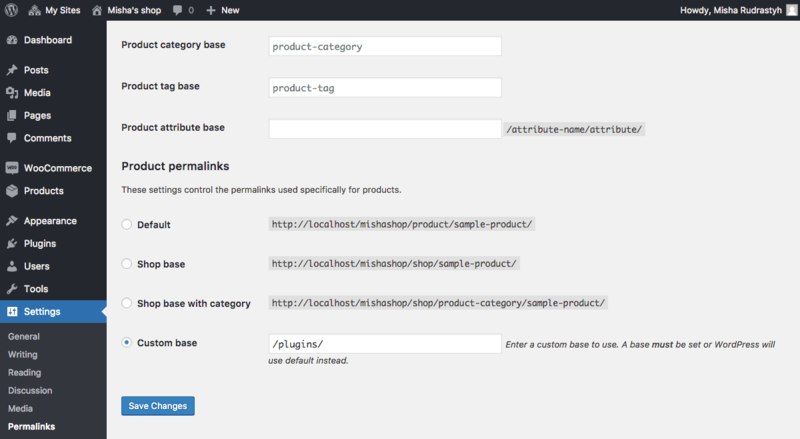 First of all let’s imagine that we use default shop base in product permalinks https://rudrastyh.com/shop/my-super-plugin and we’ve just installed WooCommerce and haven’t made much changes yes. In that case if you remove product slug from the URL, you will go to the WooCommerce shop page https://rudrastyh.com/shop. It is correct URL structure, isn’t it? But what is I sell plugins with WooCommerce and I would like the shop base to be “plugins” ? In product permalinks settings set your custom shop base. Use the dots below to navigate to the next steps. Go to Pages – Add New and create a page with the same Slug as your Shop Base. 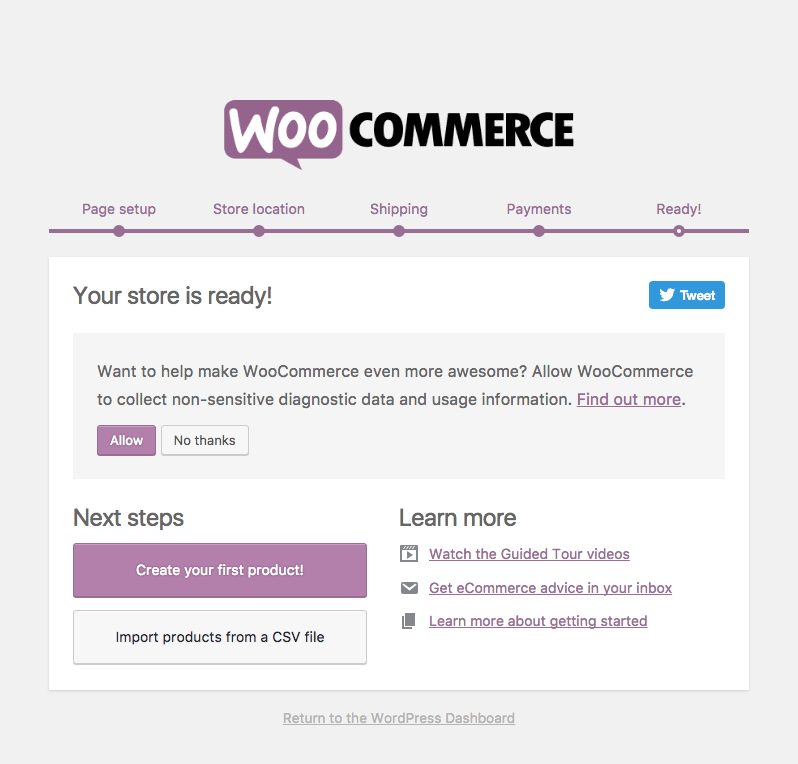 Go to WooCommerce – Settings – Products – Display and set your new page there. Well done! Just to make sure that everything is OK, come back to editing your page. The message before the title should appear. After you’ve made the above changes, your product URL will look like https://rudrastyh.com/plugins/my-super-plugin and your All Products page URL will https://rudrastyh.com/plugins. Perfect! P.S. On the screenshots above I show you the long way – I mean you do not have to create a new shop page, you can just change the slug of the already existing shop page. What ready theme to use for Woo? I really love free default StoreFront theme. TwentySeventeen etc are also should be good. You can add Storefront theme just from your admin Dashboard. Go to Appearance – Themes – Add New and type “Storefront” in the search box. You can also take a look at StoreFront Child themes. I do not recommend any themes with Page Builders, because such themes are very heavy and when it comes to 300 daily visitors, your shop could stop working. Remember please, problem is not in a weak server, unless you have 2K+ daily visitors. Is there any required plugins? I just think you have to avoid plugins that make tweaks in shop UI or admin dashboard UI. It is always better to make these changes in code. What payment gateway to use? Here are so much options, but everything depends on the country where you are located. But if a country doesn’t matter, the best payment gateway I worked with is Stripe. It is really awesome for both shop managers and developers. I even have the category with Stripe tutorials on my blog. The next payment gateway which is good enough – PayPal. More payment gateways you can find in WooCommerce official plugin repository. It is number one thing in WooCommerce which clients want to customize. If you work with it, you should know it. You could try a plugin for this purpose of course, for example “Woo Checkout Field Editor Pro” (just type in plugin search in admin Dashboard). But why using plugin if you can customize it with a couple lines of code in your functions.php? So, my recommendation for you is to look at this tutorial instead.